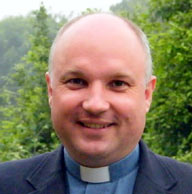 Adrian has been rector of the parish since 2002. Prior to his ordination in 1994, he trained as a secondary school teacher. He has served in the Dioceses of Cork and Meath. He is married to Jacqui and they have three children. In 2014 Adrian was appointed Archdeacon of Cork, Cloyne and Ross. Rev. Hazel Minion is a retired English and Religious Education teacher and until 2007 was chaplain to Ashton School. She was ordained in 2003 having served as a diocesan lay reader for a number of years. She is part of the ministry team in the parish in a non-stipendiary capacity. David was ordained deacon in 2013 to serve in Taney Parish in the Diocese of Dublin. In 2015 he was appointed full time curate in this parish and was ordained priest in St. Fin Barre’s Cathedral on St. Fin Barre’s Day. 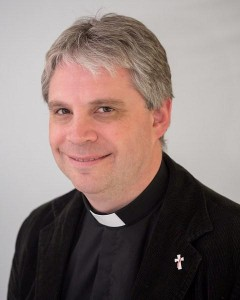 Prior to ordination, David attended DIT Cathal Brugha Street, studying Hotel Management and trained in the Kensington Hilton in London for a year. On his return to Dublin he studied ACCA and worked in Finance for FAS for nearly six years. Following this he worked in Finance for the outdoor advertising specialist PML Group for nine years. David is married to Michelle and they have two children. This committee administers the parish finance and is responsible for the maintenance of the church buildings and other property, as well as dealing with other matters. It consists of a group of parishioners elected annually to carry out this work. As Holy Trinity Frankfield is a trustee church it is administered by elected trustees but a separate vestry of parishioners also meets regularly to discuss the finance, fabric and furnishings of the church. There are over 500 households on our parish lists giving a total parish population of over 1,100. People from all ages, backgrounds and nationalities are very welcome to attend services and become involved in the life of the parish any way they wish. The pastoral care of the parish is available to everyone, whether they are regular or occasional church goers. However, we do hope that you will feel comfortable as part of our community and will want to attend church and the other activities and events on offer. No matter where you are in your faith journey, you are welcome!